Pablo Neruda, The Book of Questions (1904 - 1973) Guarded by the Atacama Desert, the lengthy Andes and the vast Pacific Ocean, Chile may seem too narrow to host so many marvels. There’s more to this distant land than Easter Island, the wine country and Pablo Neruda’s legacy: the beautiful region of Valparaíso, indigenous flora and fauna in Patagonia, and Santiago, a capital city that’s pleasantly surprised more than a traveler. Chile might be one of the narrowest countries in the world, but its snake-like shape allows its visitor to enjoy multiple natural wonders in a contained stretch of land. What it doesn’t have in width, it makes up for in length: you’ll get every kind of landscape out there, starting from the Atacama desert in the North, bordering Perú and Bolivia, descending towards template, greener scenery in the Valparaíso area, and entering the dream-like Patagonia, which goes from chilly to near-polar cold. 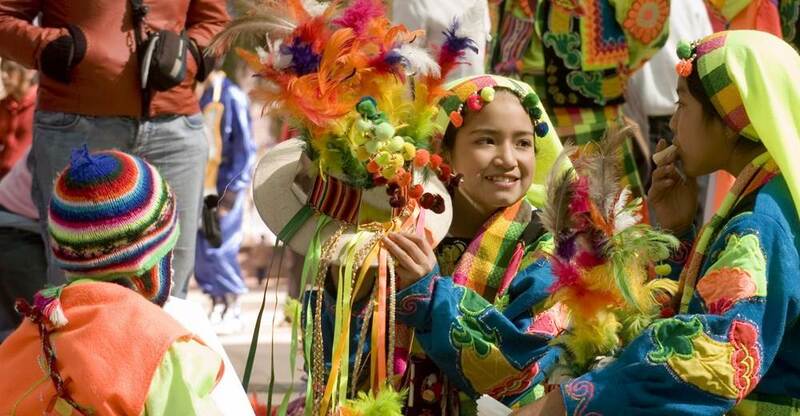 Enjoy the homeland of the mapuche, the local aborigines, with a glass of the finest wine, and let this magical country cast its spell on you. Chile has something for every kind of traveler. The adventurous type will be more than pleased with hikes in its numerous National Parks, those with a gourmet trip in mind won’t be disappointed with its cuisine –fish and seafood are a must–, and the wine country will charm those who are after the best local product. Bear in mind the seasons are the opposite to those in the Northern hemisphere. Given their geographical location and extension, Chile and Argentina have similar climates at similar latitudes, though Chile is more humid. This is due to Pacific winds crashing against the monumental Andes Range and leaving most of the rain on Chilean side. 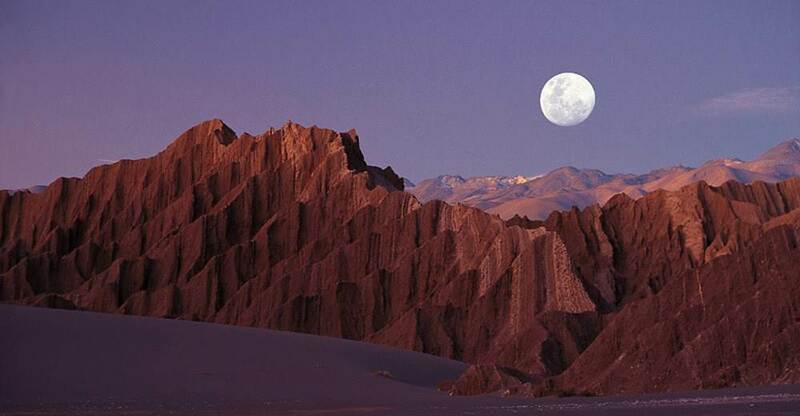 In Atacama, days are extremely hot and arid (up to 45C/113F) and nights are just as cold (reaching -15C/5F). In the central region of Santiago and Valparaíso, temperatures are more moderate, with cool winters and pleasantly warm summers. Santiago de Chile is deserted in February, when Santiaguinos go on holidays to popular Viña del Mar and other sought after beach spots like Reñaca and Concón, all of them within the central region. Santiago has higher temperatures in summer (30C/86F). 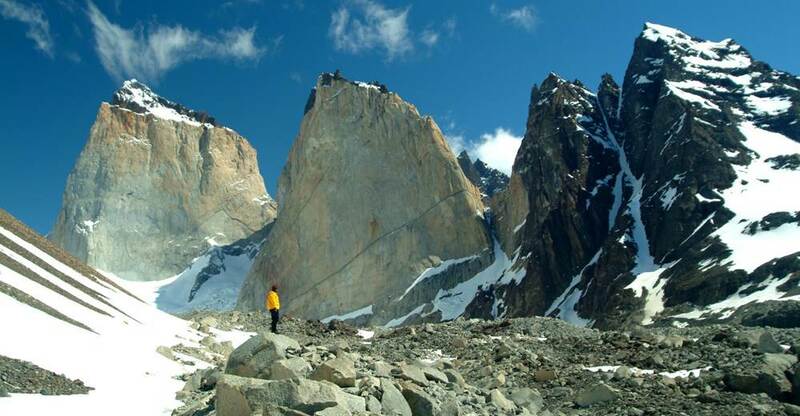 Patagonia is most visited from October to March, as its very cold temperatures turn mild in Summer and provide the best opportunities for enjoying the beauty of Torres del Paine and the Lake District. In January, you can enjoy these landscapes at an ideal 20C/68F. Starting in late September, spring guarantees the best months to practice outdoor activities. March and April, right before autumn is in full bloom, also allow travelers to fully experience the country with comfortable temperatures. Santiago has undergone a significant transformation and has become an interesting destination for both business and leisure travelers. With a less hectic atmosphere than metropolises such as Buenos Aires and Sao Paulo, this capital city is the hub for a highly developed network of domestic and regional flights. Main hotel brands offer accomodation in Santiago and a string of local luxury hotels have been opened in recent years all through the country. Although English-speaking population may be difficult to encounter outside of Santiago, Chileans are very friendly and willing to help visitors. A mixture of European ancestry and native mapuche blood, Chile’s inhabitants will bend over backwards to make your stay a memorable one. Those who speak some Spanish will be put to the test, as the locals are known for their peculiar accent and how the fast pace at which they speak deforms words. But once you get the hang of it, you’ll sound like a Chilean in no time!